eCommerce has soared to almost unbelievable heights in the last decade alone. Digital trend reports can hardly keep up with the rapid growth of global online shopping. In 2016, eCommerce sales of physical goods in the U.S. resulted in $360.3 billion in revenue. By 2021, sales are projected to reach $603.4 billion. If you own an eCommerce site and you’re trying to get a piece of the global marketplace pie, you’re in luck. Let this comprehensive guide from digitalJ2 serve as your starting point. A feedback loop is a marketing tactic that gives you real-time information about the audience that sees your campaign. 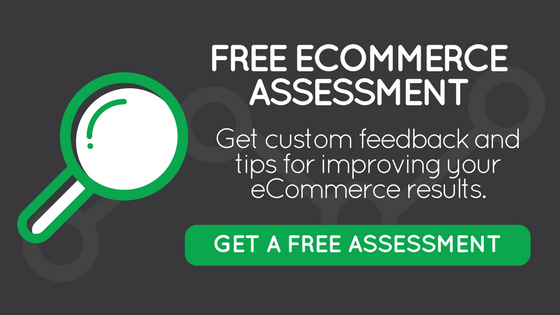 The goal of a feedback loop is to provide you the opportunity to assess, tweak, and improve your marketing efforts so that you can make them as useful as possible. In other words, instead of pushing your marketing baby out of the nest and hoping it flies, you implement a feedback loop to make real-time corrections – ensuring that it soars. One example of a feedback loop is an integration between HubSpot and Shopify. 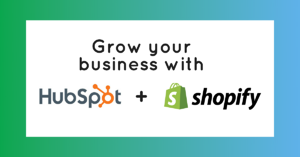 Connecting your Shopify eCommerce site to HubSpot via a Revenue Conduit will give you the power to track your efforts, segment results, and automate responses and improvements based on your goals. You can easily see what works and what doesn’t to focus your energy on channels that work. Starting off with a feedback loop can set your marketing efforts up for success. An RFM (recency, frequency, monetary) analysis is a marketing technique that can enable you to determine which of your customers are most valuable to your company. All of your customers are not equal regarding worth to your brand. RMF analyses look at how recently a customer bought from you, how often the customer does so, and how much the customer spends with you on average. By performing RFM analyses and segmenting your customers using the results, you can better tailor your marketing efforts. You wouldn’t treat a disengaged, long-gone customer the same way you would a loyal one who regularly spends money on your site, would you? This question is at the heart of RFM. By segmenting your customer groups, you can see who needs efforts such as exclusive offers and who would benefit more from re-engagement campaigns. RFM is a simple and effective way to categorize your current customers based on the level of engagement with your company, and then to create tailored marketing tactics based on this information. As important as it is for your eCommerce site to attract the attention of new leads, it’s equally important (if not more so) to master customer retention. Convincing prior purchasers to return and continue shopping with you is the key to consistent company growth. Customer retention can help you achieve long-term brand success through loyalty and word-of-mouth advertising. Reward programs are excellent marketing tools when it comes to encouraging customers to stay loyal. eCommerce sites can use plugins such as Swell Rewards to show existing customers how much they appreciate their continued support. A solution like Swell (with help from digitalJ2) can increase the returns on investment you make from each and every customer acquisition. 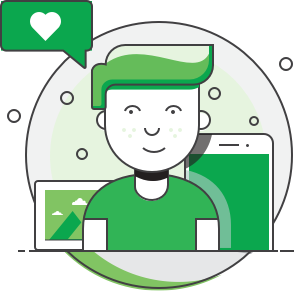 Swell offers a suite with four powerful products to enhance customer retention and boost customer lifetime value. This is just one example of a reward program that could help your eCommerce site stay popular among shoppers for the long haul. It’s inevitable that some customers will see your ad, maybe even visit your website…and then bounce. Luckily, you can still capitalize on these “almost” customers even after they leave your site. One way to do so is with targeted popups that reach lost customers at just the right time, enticing them to come back and finish their purchase. JustUno popups and display notifications are tools that can help brands present consistent messaging to web users with native popups. JustUno targets customers using UTM codes or simple codes that can attach to custom URLs. UTM codes track sources so JustUno can customize the ads different people see. The tool will segment customers based on their behaviors on your website, such as the items they seemed interested in or how far along they got in the sales funnel. Then, it will target specific customers with different offers. First-time customers, one-time buyers, and high-purchase frequency shoppers will all receive mixed messages from your brand after leaving your website – all without you lifting a finger. 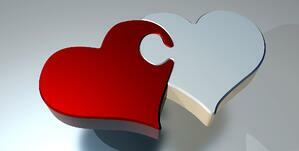 JustUno is a great marketing tool that can help you win back customers that might otherwise have been gone forever. If your JustUno popup ads don’t do the trick, perhaps a targeted email campaign will. A strategic email marketing campaign targeting users who abandon their shopping carts or leave your site without sealing the deal could be just the nudge they need to return. 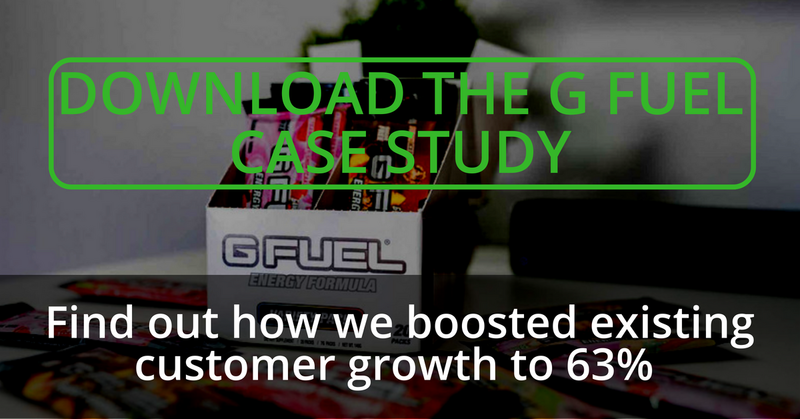 For example, sending reminder emails was exactly what G FUEL needed to bring its return customer sales rate from 45% to 63% in just nine months. With digitalJ2, you can automate a reminder email system to communicate with customers one to one. You can continue the conversation with your customers via email through HubSpot and send targeted reminder messages and friendly check-ins based on different audience segments. For instance, you can send first-time buyers thank you emails with promotional codes for their next purchases, and multiple-time buyers exclusive discounts for their loyalty. Emails remain one of the most effective ways to communicate with eCommerce shoppers. digitalJ2 can help you get the most revenue out of each and every client through tried-and-true marketing techniques. If each customer increased his or her average purchase price by even a few dollars, your monthly revenue would increase exponentially. It often doesn’t take a lot to encourage customers to add more to their shopping carts – especially if you know what to do and say. Take this example to see how increasing order size could boost customer lifetime value (LTV): Company ABC’s current customer LTV is $10,400. To get this amount, Company ABC used the simple customer LTV equation, which is the number of weeks in a year multiplied by average customer value per week, times average customer lifespan. Increasing the size of each order would increase LTV by making each customer transaction a larger amount. For the sake of the example, let’s say the average customer value at Company ABC is 10, and the average lifespan is 20 years. To get LTV, Company ABC’s equation would look like this: 52(10)x20. Thus, the customer LTV using the simple equation would be $10,400. Increasing the order size of each customer would result in an increase to the LTV, since the average customer value per week would increase. Another way to enhance your customer lifetime value is to increase the number of times one customer buys from you. Increasing order frequency can help you get better ROI for your customer acquisition expenses, as well as enhance the odds that the customer will continue coming back. digitalJ2 uses tactics such as automated email marketing, loyalty programs, great customer service, and retargeting to encourage customers to reengage with your brand and ramp up order frequency. In the Company ABC example above, doubling order frequency would change the sample equation from 52(10)x20 to 52(20)x20. Thus, if Company ABC could double the order frequency of each customer, its customer LTV would increase from $10,400 to $20,800 – twice the amount of revenue. 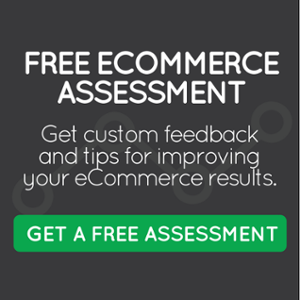 How else can you boost eCommerce revenue using the leads you already have? With conversion rate optimization (CRO). Your conversion rate is the percentage of leads that make purchases from your website. Increasing your conversion rate through methods we’ve already mentioned (email marketing, JustUno, etc.) can maximize the amount of money you make from existing leads. CRO services from digitalJ2 could be the answer you’re looking for to make twice (or more!) as many conversions as you’re currently making. Increasing the number of conversions at Company ABC would once again raise the average customer value per week in the simple LTV equation. 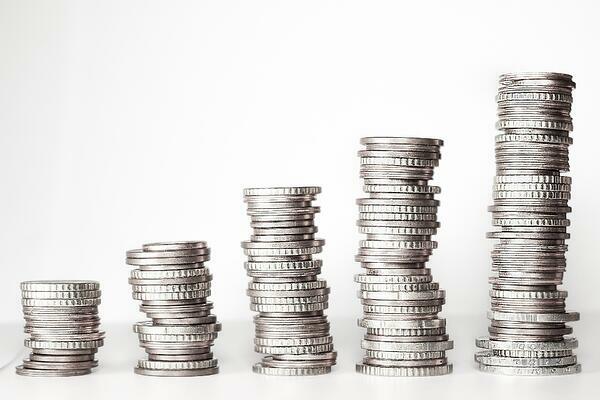 As the number of conversions increases, so would the average number of site visits and the number of expenditures. If Company ABC could increase conversion rates enough to make the average customer value per week increase from just 10 to 12, the total LTV would jump from $10,400 to $12,480. As you can see, it doesn’t take much to see a noticeable boost in your bottom line. Retargeting, or remarketing, is an eCommerce site’s best friend. Retargeting refers to the marketing technique of tracking customers who visit your site but bounce, then putting a tailored message in front of that person no matter where he or she is on the web. Retargeting can significantly increase the odds of a customer coming back and finishing up a purchase, or reconsidering shopping with one of your competitors. It can increase brand awareness, put your name inside customers’ heads, and make it much harder for the customer to forget you. Retargeting through a solution such as AdRoll can take this technique a step further. Instead of only targeting customers who came and left, you can attract new customers with the extended reach that retargeting gives you. Once you attract these new leads, remarketing will help you retain them. AdRoll can enable you to put messages that are consistent with your CRM platform (e.g., HubSpot) in front of the right customer at the right time – optimizing the odds of making a sale. Last but certainly not least, great eCommerce marketing must delight customers. This means customers want to feel good about buying from your company. Today’s consumers are extremely knowledgeable and often research brands and items extensively before making a purchase. When they finally do decide to seal the conversion, they want to feel that they’ve made the right choice. Making it your job to delight your customers can achieve exactly that. Delighting your customers at the end of the sales funnel takes knowing them. 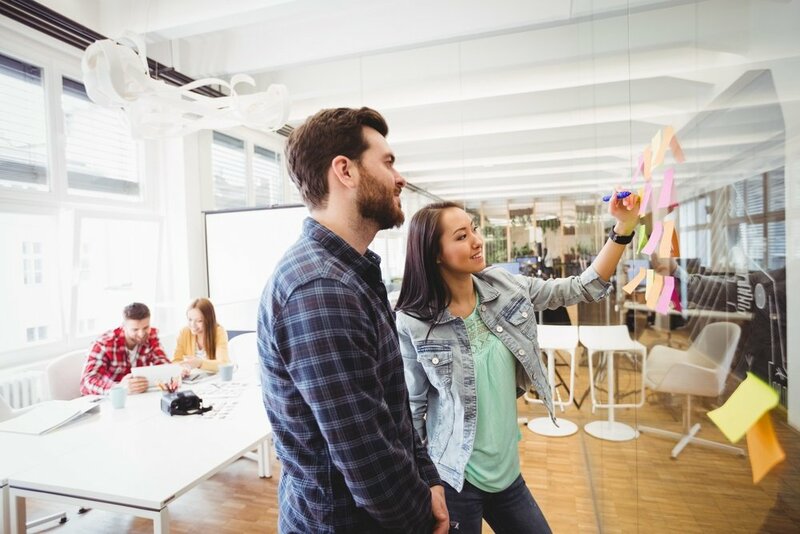 You must understand the unique needs and desires of your target audience and create personalized content to nurture them through the buyer’s journey. Everything you do in your marketing campaigns should have the goal of helping customers and offering something of value. Only then will they step away from the transaction with a warm tingly feeling. Making the buying journey fun, effective, and rewarding is what great eCommerce marketing is all about.